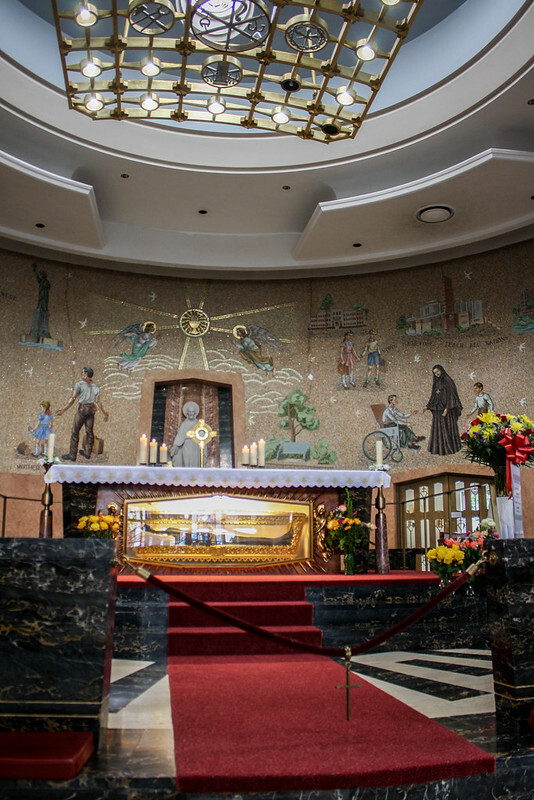 Today is the feast of St Francis Xavier Cabrini (Mother Cabrini), the first US citizen to be canonized in the Roman Catholic Church. She founded numerous orphanages and hospitals throughout the country. Many of these institutions still function and now bear her name. Her partially incorrupt body rests at a shrine in Washington Heights, Manhattan. 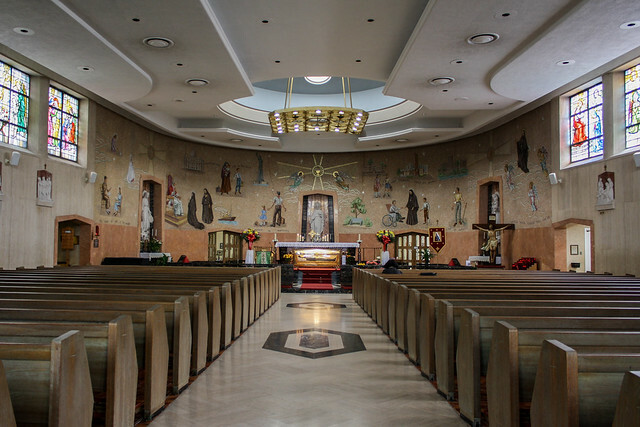 The photos here come from a visit to the shrine last month. 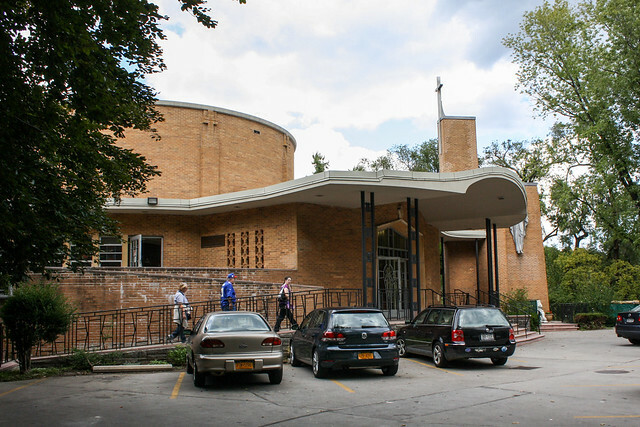 The shrine building dates from 1959. 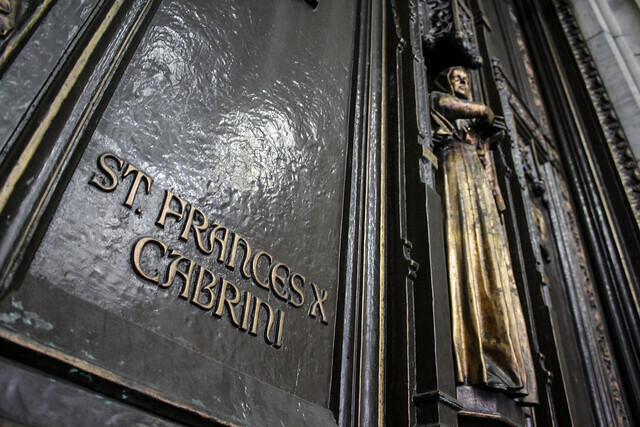 And here is an additional photo of Mother Cabrini from the doors to St Patrick Cathedral, New York, which features saints with ties to the diocese. Because of her work in service of immigrants, and because she was herself an immigrant, she is counted a patron of immigrants. 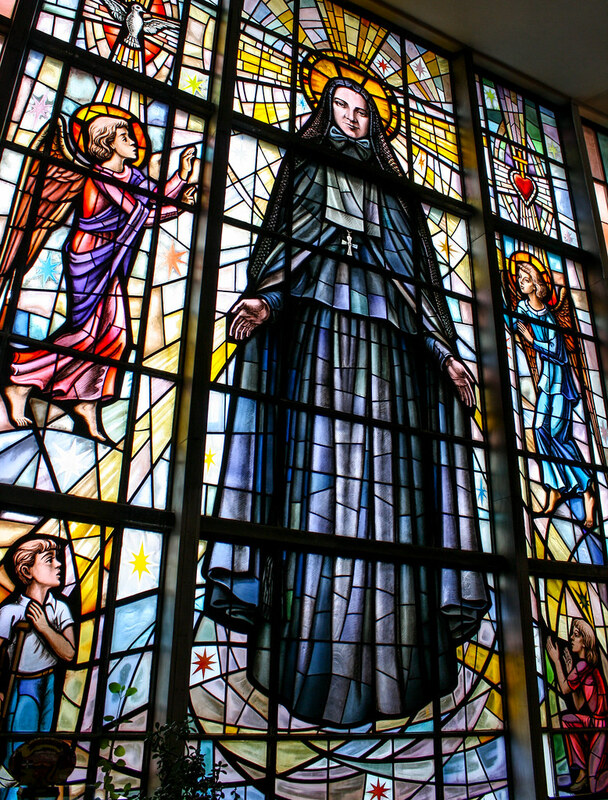 God our Father, who called Saint Frances Xavier Cabrini from Italy to serve the immigrants of America, by her example, teach us to have concern for the stranger, the sick, and all those in need, and by her prayers help us to see Christ in all the men and women we meet. Through our Lord Jesus Christ, your Son, who lives and reigns with you in the unity of the Holy Spirit, one God, for ever and ever.